I vividly remember it like it was yesterday. Maybe a few yesterdays have passed since I was 7 years old, but the passion I had is still very much present today. You see, at that time I had big dreams. I’m talking the big, hairy, audacious goals that life coaches tell you to get. I was going to be the world’s first engineer/ballerina/professional violinist. While I have achieved many of these goals: engineer? Check! Ballerina (when I get around to going to the drop in classes at my local studio)? Semi-check! Professional violinist? I was first chair in middle school orchestra…does that count?!?! The point is that when we are clear on what we want in life we can be truly fulfilled. I want to share with you all today a technique that I’ve discovered. I like to call it “discovering your inner awesome”. It’s all about reconnecting with the goals and dreams you have (or used to have) and really getting aligned with what that is important to you. Basically, it helps you live a purposeful life. Unfortunately, life can be stressfull. It moves fast. Work, family, community involvement and sleep all seem to get in the way. It’s easy to get overwhelmed and lose sight of our dreams. 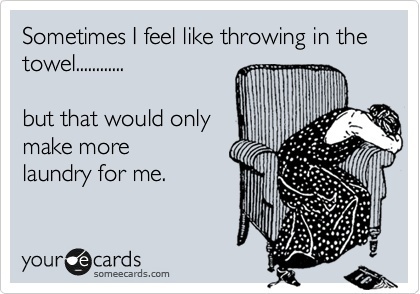 I mean seriously, who has time think about being the adult of their dreams when the laundry never stops. In an ideal world we would all be focused on our success. But who the heck knows what success means anyway?!? Don’t you wish there was a sign to point you in the direction in which you’re supposed to go? I know I do. Success can seem elusive. I mean how am I supposed to figure out what to want, THEN how to get there. I can’t be the only one to find myself at a crossroads. The whole experience can leave you feeling confused and overwhelmed. I didn’t even realize how frustrated I had become. There must be a better way. One morning as I was listening to one of my favorite podcasts, the host described his guest of the day. The guest started talking about how happy he was, how he reached all his financial goals, had a wonderful home life…basically the guy was bragging. He had written a book all about his journey from injured and depressed to where he is today. I figured that if he had it all figured out, then why should I reinvent the wheel? The guest on the show was Hal Elrod, author of the book The Miracle Morning. We all know about time-tested practices and techniques that bring calm purpose into our lives. Each of us has tried exercise or yoga to calm the mind. Maybe you even keep a journal from time to time. The issue is that few of us implement them consistently. The premise of the book is that if you implement 6 of the most widely known and respected self-improvement practices, then you will essentially be amazing. The acronym he uses to remember them is SAVERS. Sitting in silence can also mean meditation. Do it with me now. Relax your shoulders, clear your mind. Gently think in cadence with your breath, I breathe in peace, I breathe out love. Doesn’t that feel good? It’s energizing yet calming way to start the day. I know it’s a bit on the hokey side, but it does actually have known medicinal benefits. Meditation is known to calm the mind, boost immunity, increase your energy levels, reduce stress. Affirmations come next. Affirmations positively reinforce how you want our life to be. Feel free to make up your own mind or google some for inspiration. I like to something along the lines of “Today is a day full of possibility. There is no limit to the impact I can make.” Yup…if you can imagine it, there I am early in the morning talking to myself. We have a lovely conversation to start the day. When we are done talking, I feel empowered, I feel motivated, I feel like I can take over the world!! Next up is visualizations. The point here is to get a clear picture in your mind of what you want and who you have to be. Be as specific as possible and try to tap into that childhood imagination. Think about the car you want to drive, where you want to live, what your family live will be like. Right now I drive a 2010 Toyota Yaris but in my visualizations, I’m driving a Benz! Ok so far we have been doing a lot of sitting and thinking, it’s time to get moving! The E of SAVERS stands for exercise. You can see from my photos that I’m already pretty slim and trim but I have to admit, I’ve never really been into exercise. As time has gone on, I have slowly started to enjoy it. On a typical morning I will do a YouTube Pilates or yoga workout for 15-20 minutes. If it’s a morning where I’m low on time, then I will just do 50 jumping jacks to get my heart rate up. I call it my “mini” miracle morning. Nevertheless, the results are sustained. I still get the coveted endorphins that make me feel great. Of course there are other benefits too. The increased heart rate, getting your blood flowing early in the morning and staying healthy are all big motivators for me. Homestretch…R is for reading. It’s time to get some new ideas and inspiration from other successful people on how to achieve our milestones efficiently. Reading is very helpful for gaining insight and gathering advice from others who are where you want to be. Typically, I like to read self help, business or religion books. I know, nobody wants to admit to reading self help books. Hello, my name is Richelle, and I read self help books. Seriously though, as fun as it might be, this is NOT the time to read the latest Stephen King novel. We are looking to progress in our lives and businesses. Take an hour for your personal development. You can screw around the rest of the day. Finally the last S stands for Scribe. That’s right, get your King Tut on and write out your goals and dreams. Scribing is writing. Meaning, this is the time to get your thoughts on paper. You likely have a flood of thoughts. Personally, I tend to write about what I’m grateful for, my goals, and my dreams. It’s really a cathartic exercise. Anyone who has kept a journal knows how relaxing it is to get out of your own head and put ideas on paper. The beautiful part is that it’s a private as you want it to be. I also find it particularly nice to read back through my thoughts and see how much progress I’ve made over the years. After all this journaling, thinking, exercising and the like I always feel nothing short of amazing. I feel like superwoman – nobody can touch me!! My to do list? Doesn’t stand a chance. That annoying guy in legal? Nope, don’t even notice him today. Random sly comment from a frenemy at lunch? Slides off like I’m coated in Crisco. At this point I think it’s only proper for me to issue a challenge. Now that you’ve heard about these practices and learning about my crazy (but awesome!!) morning routine I’m sure you like ‘hmm those benefits sure do sound great…’ Think back to the dreams you had as a child. What are your dreams now? Do you want a massive real estate empire? Do you want a few passive investments that pay you but you have none of the day-to-day responsibility. You really can be and have whatever you set your mind to. Practicing the miracle morning can help you reconnect those those dreams and start you on the path to live the life you want. I encourage you to create your own Miracle Morning. This was very well written! I have my own miracle morning routine I’ve been doing for a little bit. Its still a working progress, but Its very similar. Love this article!